When it comes to traveling or going through a survival situation, staying in touch with other people is important. Having the best walkie talkie on your side could make all the difference in the world, especially when there’s an emergency. 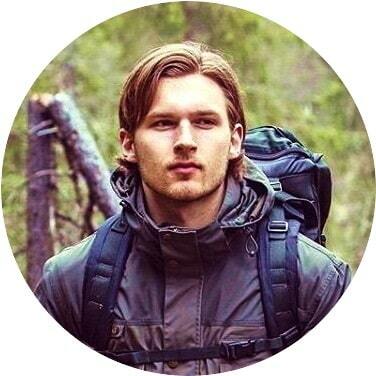 You don’t want to get trapped miles away from civilization without a way of getting out of your predicament. That’s why having the best two way radios will not only help keep you safe, but will help you stay alive. 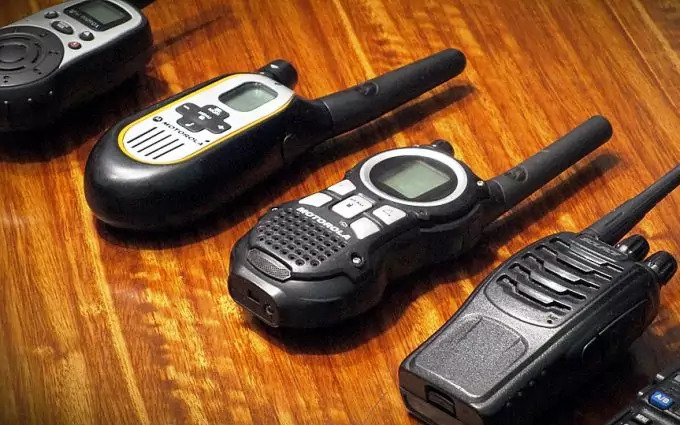 Before you go about buying the first walkie talkies you come across, there are some important things to look for, or else you could end up just as stranded as you would without them. Whether you’re going hiking in the mountains or skiing, you need something that will be just as powerful as a cellphone, especially in areas where there isn’t any service. A walkie talkie is a device that both transmits and receives content, much like a telephone, except you can’t hear the other end while you’re transmitting. It does provide quick and efficient communication to other people who are using the same radio frequency. 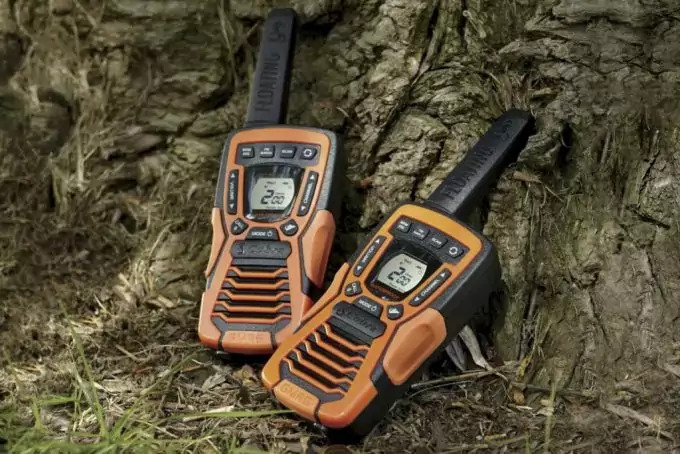 Many walkie talkies and two way radios are sold in electronics and cell phone stores, and have also been included in outdoor sporting goods stores for those who are involved in hunting and hiking. The more expensive versions of these tools are used by the military and law enforcement, and aren’t usually up for sale to the general public. When it comes to walkie talkies, there are basically two kinds: those for general use and General Mobile Radio Service. The general use radios are called Family Radio Service walkie talkies, or FSR. These have a few variations, but they are all powered with 0.5 watts or less. They also have a number of channels that they transmit on. A family license can be purchased to use these radios for a fee of about $85.00, and is good for at least five years. The GMRS radios are designed more for business and commercial purposes, so they’re going to be at the higher range of the price spectrum. Their power output range is at about 50 watts, but they do require a FCC license to use them. There are also some radios that can do both. It should be important to note here that a license is required if you plan on broadcasting on channels 1 through 7 at wattage level over 0.5, and on channels 15 through 22 at any wattage level. A violation of these can result in a hefty fine and even jail time. Walkie talkies have various channels for specific purposes. Knowing what these are will help you figure out the kind of two way radio that you’ll need to suit your purposes. There are twenty-two channels altogether. 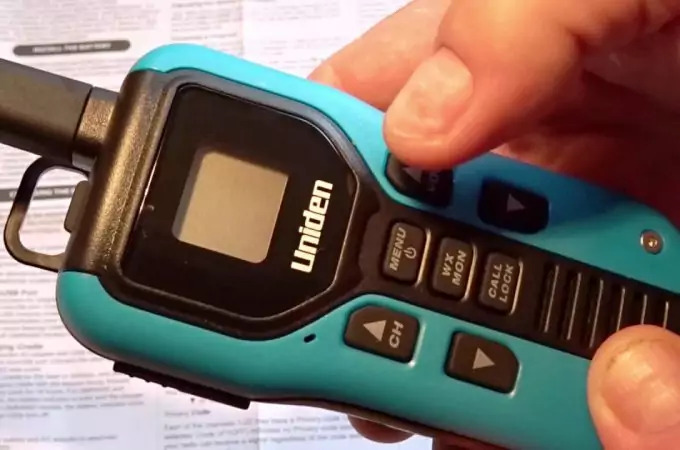 The more channels that a walkie talkie offers, the higher the price will be, so it’s important to know what you’ll be using them for before you go buying the first one you see. 1-7: used by both FSR and GMRS radios; there is no license required if the radio is 05 Watts or less. 8-14: these are used by FSR radios only; no license required. 15-22: GMRS only; license required for all channels. Having more channels also makes it easier to communicate, as radio frequencies can get choppy and filled with static, depending on where you are. Having more options may make it easier for you to find a clear one so that other people can hear what you’re saying clearly, and vice versa. Some walkie talkies even include privacy codes, so that other people who don’t have that code can’t hear what you’re saying. This is a great way to stay safe, if you don’t want eavesdroppers knowing where you are. 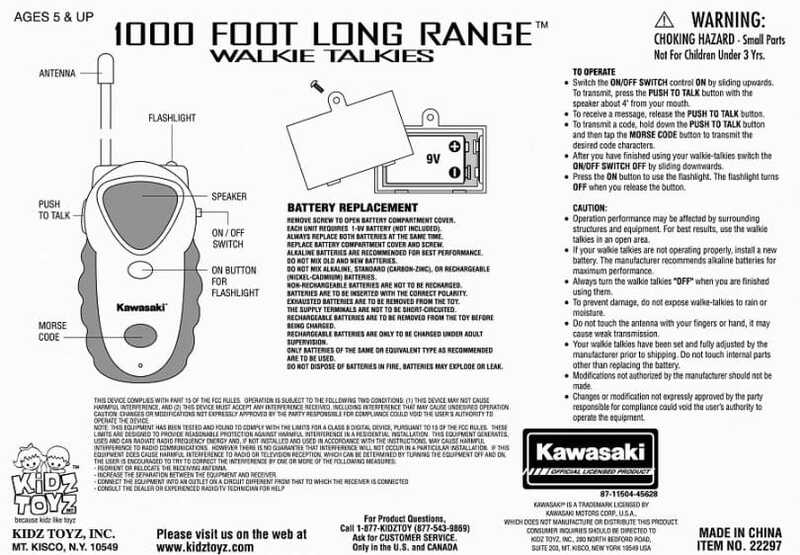 When it comes to walkie talkies, the farther the range the better. Getting a radio that only transmits a few feet away won’t do you any good when you’re stranded all by yourself. The best you want is a two way radio that transmits at least twenty-five miles away. Radios that state this on their packaging are usually tested in an open area where there aren’t mountains and trees to get in the way and cause the signal to be interfered with. There will be better range on your radio if you’re on the top of a mountain and another person is in the valley, and you don’t have an obstructed view. Your range will degrade if you’re low in a valley, there are large objects than can cause obstruction, or there is thick fog, lightning, or storms in the area. Most FSR radios can go up to six miles in ideal conditions, and up to two miles in less than perfect conditions. GMRS radios can get anywhere between eight to twenty-fives miles, depending on the surrounding conditions. 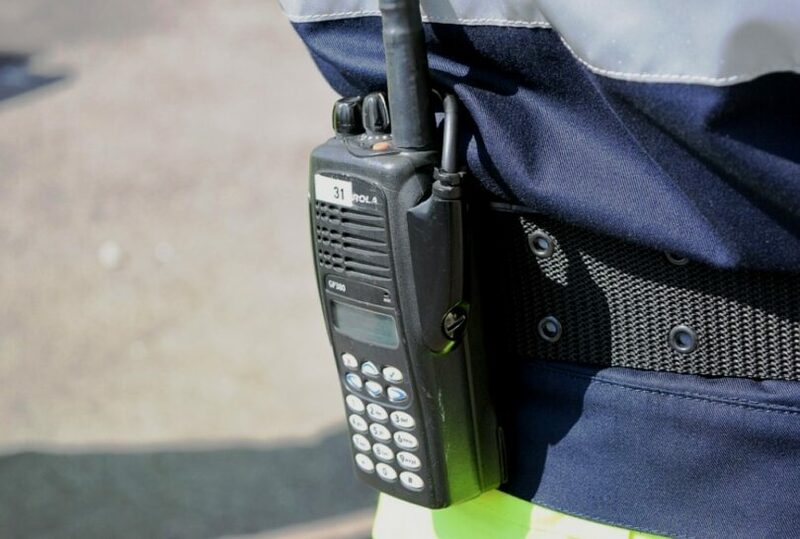 When investing in radios, it’s important to know the difference between these two because one kind of radio will not be able to communicate with the other. UHF, which stands for Ultra High Frequency, is designed to operate at 400 to 512 MHz. They are the most adaptable choices on the market because the waves are shorter. This makes them more ideal for carrying around, as they can more easily get through interference. Radios with UHF are better used for indoors as well as outdoors. VHF, which stands for Very High Frequency, operates at 136 to 174 MHz. These kinds of radios work best over long distances where there is very little interference from natural landscape or buildings. They’re even used by aviation and marine departments because the signals can travel for extremely long distances. They’re very good for penetrating trees and foliage, and tend to have longer antennas than UHF radios. Two great features to have included with your radios are GPS and weather radio. These will make the radios more expensive, but you’ll be glad you have them as they’ll keep you prepared. GPS will help to broadcast your location to other people in the area, especially if you’re lost. Those with the same technology will receive your transmission so they can find you. Have a weather receiver will help you stay ahead of any impending weather that may come your way, so you can stay prepared and not get lost when a heavy storm has caught you unawares. Channel saver: this allows you to save certain channels so that you can always go back to them much more easily for communication purposes. Talk confirmation: this signals the beginning and end of transmissions so that you know when it’s safe to reply the transmissions you’ve received instead of being cut off. Incoming Alerts: your radio will vibrate or ring, letting you know when there’s an incoming transmission. This could potentially save your life if you’re trapped in a situation where you can’t be listening to your radio 24/7. Channel recall: this will help you to recall the last channel that was used. This is particularly helpful when the numbers of the channels start to get confusing. Scanning: this helps you to discover which channels are already being used, making it easy for you to find a free one. Jack for speaker or microphone: this will help you to keep your hands free, especially when you’re already using them to keep yourself alive. Lock option: this can lock the keypad as well as on a channel so that other people who find your radio can’t use it. Display: an LCD display will help you know just how much battery life you have left, display a compass, provide timers and alarms, and have a variety of other indicators that can make your life much easier. Keep in mind that you don’t have to get walkie talkies that have all of these features. Only the essential ones are necessary, depending on what you’re planning on using them for. Knowing how long you’re going to be away from civilization will help you to pick a pair of radios that will help you stay in contact. Many models are built with rechargeable batteries, while others depend on single-use batteries. Looking at the estimated time of usage on the radios you intend to purchase will help you figure out if you need to bring spare batteries with you. In the description of the life of the battery, it’s typically estimated to be 5% transmission time, 5% reception time, and 90% standby time. You may want to read on our tips and guides on how to choose the best solar chargers for your needs, check it out. Taking all of these into consideration, here is a list of some of the best walkie talkies that you’ll find on the market. They may be at the higher spectrum of what you expect to pay, but you’ll be thankful not only for the features, but for the reliable service that these high-quality radios will provide. These are some of the best on the market, boasting a thirty-seven mile range, as well as extended range with 2,662 channel combinations. It also comes complete with NOAA (National Oceanic and Atmospheric Administration) weather and alert so that you’ll be prepared for all storms and emergencies that are heading your way. The alerts are only targeted to your location so there’s never the need to change channels in order to get the alerts that you need. This makes it easier for you to prepare beforehand so that you’re not trapped in unexpected circumstances. These walkie talkies are also capable of floating, so you’ll never have to worry about dropping them in water. The bright orange color also makes them very visible so that you can retrieve them easily. If audio is unclear, these walkie talkies also come with a feature that allows you to replay missed radio calls. It automatically records the last twenty seconds of incoming audio, so in the event that you’re asleep or away from your radio, you can still receive information from necessary transmissions. These radios are also voice-activated, so you can continue to work hands free on other tasks while still having conversations with other people. The great thing about these radios is that they’re pre-charged, so they’re ready to use straight out of the box. The charge may not be completely full, but it’s better than them being completely dead. Their compact design and waterproof outer coating make them an excellent choice in all kinds of weather, and are capable of handling anything Mother Nature can throw at them. The LED flashlight provides you with additional light when your flashlights have all died and you don’t have enough to start a fire, so it’s great to have an emergency. There’s a dual-port charger for the radios, but they also run on regular batteries in case you’re without the means to charge them up with. The fact that it charges through micro-USB is great, as there are already cellphones and other devices that use this input, making it easy to bring a cord and charge it in your car along the way. This makes it much easier for you to bring batteries with you, if that’s easier, or to carry along a small hand crank device to charge your radios with. The choice is up to you. There have been reported problems with transmissions being too quiet or muffled. Receiving transmissions are fine; it’s sending them that’s the problem. Speaking loudly can become a bit tiring, so it could be good if this was improved upon in the future. This radio series combines the rugged durability of an outdoor radio with the watertight construction that you need for it to survive any weather. 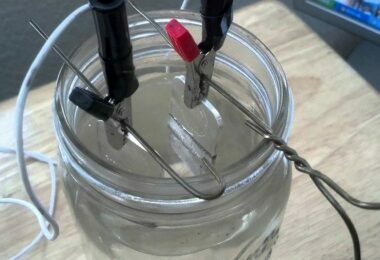 It can withstand even the most extreme outdoor conditions, and will still work after being submersed in over three feet of water, even for thirty minutes. This radio boasts a range of about fifty miles, as well as twenty-two channels consisting of 7 FRS and 15 GMRS. This allows for 6,270 channel combinations, so you won’t have to worry about busy channels making it more difficult for you to communicate. Along with that, there are also 284 privacy settings, 142 privacy codes, and 142 group codes for each channel, allowing your conversations to remain private and avoiding interference by other users. The radio is also capable of receiving NOAA Weather Service so that you’re always kept abreast of changes in the climate, impending storms, or any emergencies in your area that may be posing a risk to your safety. In the event that there is an emergency, the radios come equipped with a strobe so that it’s easier for other people to see you and come to your aid. 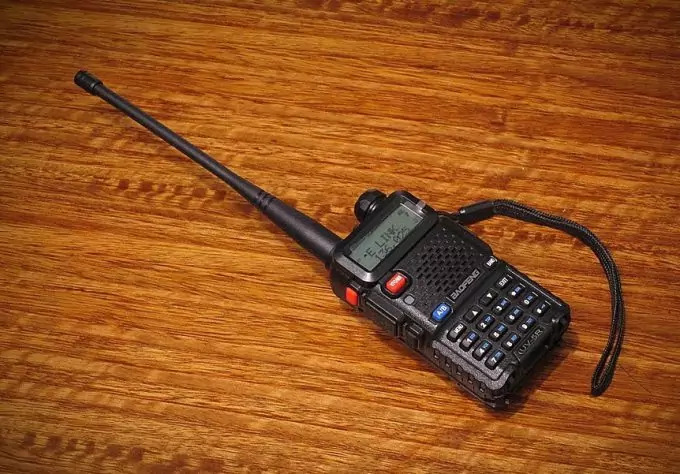 Altogether, the package comes with two radios, two rechargeable battery packs, two headsets, a couple of carabiner clips, a charging cradle, two belt clips, and AC adapter, and printed materials to help you become familiarized with the use of the radios. There have been reported problems about static right after ending a transmission, as well as random static taking place throughout conversations. The speaker also isn’t very loud, so they would normally be difficult to hear if the headsets weren’t included. The range also isn’t as much as advertised, so it’s best not to wander too far from each other because you’ll lose contact. This series of GMRS radios comes equipped with fifty channels, is waterproof, and comes with the NOAA Weather hazard alert that you need to stay safe. It also has rechargeable batteries, a dual desktop charger, headsets, and a twelve-vole vehicle adapter so that you can charge in the car. The maximum range on these radios is about thirty-six miles, and the emergency announcements include notifications that are much than just weather, including Amber Alerts, nuclear power plant warnings, and warnings about biological hazards and fires. There are new features that allow you to still be heard even when you’re whispering, as well as sending out an SOS when you’re trapped in a precarious situation. The group call option allows you to make direct calls to other people within your group channel without alerting the entire group as a whole. The vibration function allows for silent notifications, and the headsets provide hands-free operation that makes it easy for you to keep getting the job done. The radios include 142 privacy codes, ten call alerts, a keypad lock, and a battery save circuit. Instead of using lithium batteries, it uses four “AA” batteries, as well as the rechargeable batteries it comes with. These radios tend to be a bit quiet in use, even with the headsets turned all the way up. Also, don’t expect for the warranty to cover very much, as anything that breaks other than the radio itself, such as the headsets or the batteries, will not be covered under the warranty. Buying all new parts to replace the broken parts may be more than you’re willing to spend. What’s great about the MU series of walkie talkies is that you allows you to connect your own Bluetooth headset with them so that you won’t have to worry about cords or your hands being occupied with holding the radio while in use. You also won’t have to worry about your headsets getting broken if you already have one of your own that works well. The radios themselves have an IP-54 rating that includes a weatherproof design that not only keeps your radio free of dust, but also snow and rain. It’s designed to last for a very long time, and that’s what Motorola intended for these radios. Weather alerts will also be transmitted to your position to keep you on the up and up about weather patterns and conditions that may be heading your way. With seven NOAA channels to pick from, you can receive continuous weather broadcasting so you can stay prepared. It’s obvious that the retailers care about you having the power you need to use your radios, and that’s why they provided four different methods of keeping your batteries charged. This is especially crucial when you need to use the emergency light included to remain safe. Many people have applauded this serious of radios for including the Bluetooth feature, as it makes it much easier for people to use the headsets that they already use for their phones. They know that they already work, so using them on another piece of equipment saves on having to carry around something else just to make their radios hands-free. These radios can even be attached to handlebars on a bike, so you can still maintain communications even when you’re biking up rocky paths. The midland radios are some of the most lightweight radios in the market that will definitely make your life easier. It has NOAA Weather and All Hazard alert, comes with rechargeable batteries and a dual desktop charger, and has a range of about twenty-six miles. It features 22 GMRS channels with an extra 14 channels for use. And if you want to work hands-free, it has a 3-Level E Vox so you can keep talking while taking care of other tasks. It has 121 privacy codes, five call alerts, is water resistant, has a keypad lock, and also a battery save circuit so you won’t be without juice when your radio is in standby. Although the batteries are rechargeable, 3 “AAA” batteries can also be used to keep your radios powered. If you want to stay quiet in the grand outdoors, there’s also a silent operation mode that makes it easy for you to turn off all tones. This can be especially useful for the nature lovers in all of us who don’t want to scare animals away when we’ve found them in their natural habitat. Snapping a few good photos can be ruined by the sudden tone of radio transmission coming in. When it comes to finding the best walkie talkies for outdoor use, it’s best to talk to the staff in the store you’re purchasing from to help you find what will suit your needs the most. If you don’t want to be roped into purchasing the most expensive kind, then do some research beforehand to see what customers are really buying and what their experiences have been in using these two way radios. For alternative communications during a disaster, it’s important to know what to do, so check on our article to assist you. They can provide a lot of insight into the walkie talkies that will work best for you and ensure that you stay safe at all times. 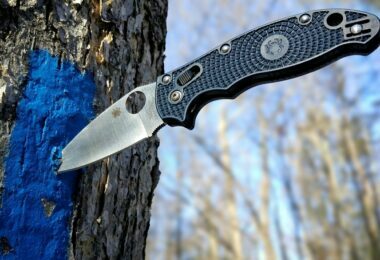 You don’t want to get stuck out in the woods without any way of calling for help in the event that an emergency arises, so these should always be added to your survival list whenever you’re getting away from the busy life of civilization. 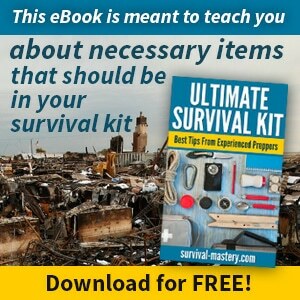 See our important article on how to send messages during an emergency situation to help you survive anything.